Hello again from sunny Ruidoso, New Mexico. The mountain air is fresh and crips this morning, and part of me wishes I was headed back out to the golf course. The other part of me doesn’t. After reading yesterday’s blog, some of you might be wondering how I fared on the links. (Some of you may wish I’d get off this theme, and there’s nothing wrong with that.) I’ll say this, about that. I did ok. The front nine was pretty ugly, mostly because my putter was blind, deaf, and dumb to my input about where the ball was supposed to travel. 47 on the front was not how I envisioned my day. At the turn, we stopped in at the snack bar, and both of us ordered the giant hot dog. It looked not unlike the picture above, after I added the mustard and relish. The wonderful thing about golf is how the game is divided into two halves of 9 holes each. An avid, enthusiastic golfer might say something like, “I had a 47 going out. But I turned it around and shot 37 coming back in.” I know right? I had a wonderful time on the back nine, with 7 pars, 1 birdie, and 1 (stinky) double bogey. I think it was the giant hot dog. When you play golf on a true “Links”-style course, the fairways are narrow, every hole has sand traps both in the fairway and around the greens, and the place is mounded in such a way, that even when you hit a good shot, it could turn out bad from a nasty bounce. I had a blast on the back nine. A total score of 87 on a course I’ve never played before was a great deal of fun. As I reflected on our time on the golf course later in the day, I began to realize it was an experience with many components that made the time so enjoyable. First of all, location: mountain golf is fun and certainly cooler than Texas golf at this time of year. Next, the fact that my wife and I can play golf together and share this experience is a true blessing. My score was certainly part of it, but more than the total score, there were individual shots where I felt like I was “one” with the ball. And who can forget, there was the unknown factor: the giant hot dog. The first bite I took of this snack was savory and delicious. But it kinda went down wrong. I had the impression that perhaps in my haste to quench my appetite, I had perhaps swallowed too soon. Like maybe the baloney in a roll was resisting its fate. So, naturally being a man and all, I thought, “take another bite and push it on down.” So I did. By the time we were up to tee off on the 10th hole, I had scarfed the whole dog, but that first bite still felt stuck. My thoughts were so consumed with when the hot dog would quit barking, that I didn’t even think about my tee shot. I just stood up, drove the ball (center left) down the fairway, and went back to thinking, “how can I get this dog down?” Guess when I quit thinking about the hot dog… yep, after I finished the 18th hole. I look back now on the back nine and realize, I was thinking more about the dog stuck in my chest, than playing golf. There has got to be a lesson in there somewhere, right? It isn’t about my deserving or earning the blessing that is mine in life. The creator has reached out in His infinite grace, blessed me beyond reason with forgiveness, acceptance, meaning and purpose for living. He has captured my thoughts, He has changed my heart. I serve Him when I write about His glorious and extravagant love. The rest of it, all that life is made of, is just a giant hot dog. The snack in the middle of the day, until I sit with him at the feast. My absence, or lack of posting, for the last couple of days may have gone largely un-noticed by the world. But for those who are interested, I’m in New Mexico on vacation. We’ve gone to cooler temperatures for a few days of R & R. Part of the plan is to play golf later today, and I wonder if the altitude will help my distance. I can always hope. As my good friend Jay likes to say, “I wonder what swing I woke up with today?” And I’m wondering this about myself, right about now. Golf is my lodestone. That rock that naturally has magnetic qualities, attracting other ferrous materials to itself, is a lodestone. I truly love getting outside, enjoying nature, and doing my best to improve my game. When playing golf, hazards of any kind… water, sand, rivers or lakes, trees, and 3-foot rough… all seem to be natural lodestones for my golf ball. Today my goal is to not lose any balls. I’m naturally attracted to golf like a magnet. I’ve played on really bad courses, and on high quality courses. It’s in my blood you might say. I remember as a 8 or 10 year old kid following my dad and my uncles around the golf course with a little cut-off 7 iron. When my uncles would come to visit they wanted to get their money’s worth, so they would often play 36 holes a day, 3 days straight, and I usually walked all of it with them. We lived in West Texas where out in the prairie some of the oil field workers would use road graders to clear the brush, then pile a load of sand mixed with oil in a heap on both ends of a 200-300 yard “hole”. They would take a large roller and roll the sand smooth creating a “putting green” for the hole. Today I’m in New Mexico, and I get to play golf. Globes have always fascinated me. Intellectually I understand our earth is round (sort of), but every map we see is flat. Which lends to a perspective issue for those without three-dimensional imaginations. A good school project for your child this fall might be to “show and tell” how the internet was formed, or the impact it has had on our lives. If you have no children, but this interests you personally, here is a link to a page titled, “40 maps that explain the internet.” Beginning with ARPANET (1969) this page demonstrates with maps the development, growth, and impact of the World Wide Web globally. Most of us tend to think about things “locally.” The thing I love most about where I live is that I’m 5 minutes max to: church, groceries, gas, movies, parks, golf, and no less than 50+ restaurants serving foods originating from all over the world. Every morning I grab my java and sit at my desk, typing these little ditties into a text editor, on a site hosted by WordPress. The second I hit “publish,” my article leaves my local connection like the speed of light, establishing a link for folks to click, then read, from virtually any place on earth. As of today, June 26th, 2017, my articles have been read in 67 of the 196 countries around this globe. From my local connection, I have a global voice = Glocal. This excites me. This motivates me. This brings me great joy. Every day, every time I receive a ping on my phone or desk alerting me that I have a notification of a person who has “liked” an article, I know without doubt, my voice has been heard. In this small way, I know, that even though I may not have a weekly congregation which listens to a sermon, or a weekly audience for teaching a Bible Study, I do have folks all over the earth who follow and share my blog with others. Who would have thought that an article written by a retired pastor in Texas would be of any interest to a Station Manager in the Roman Catholic Archdiocese of Barmenda, from Douala, Cameroon? Yet, we touched base on Facebook through the World Wide Web (internet), and I’m blessed because of it. I couldn’t believe it actually, when someone from Mauritius (a small island nation in the Indian Ocean off the coast of Africa) read and liked my article. How amazing! Maybe I shouldn’t be so amazed. After all what I’ve just described for you is the essence of what Jesus told His disciples to do and be. They all wanted to know if it was time for Jesus to establish the earthly kingdom of God. His answer demanded they (and we) get their thoughts in a better priority. My challenge for you today is to think: Glocally. First be aware that God has called us to be witnesses right where we are. We are to live our lives in such a way as to experience God’s grace every single day, in personal relationship with Him. Energized and equipped through God’s grace we are to reach out and have a voice, glorifying God, while exalting Jesus Christ as Savior, Lord, and Master of our life. You never really know where your voice might reach. It may even take the words of Jesus … to the remotest part of the earth! Does Change Make You Cringe? Well, first of all, what does this picture have to do with anything, especially the title of this blog? The image above is perhaps aptly titled, “The Spice of Life.” As in the phrase, “Variety is the spice of life.” Change is about adding variety into your life. Did you know this phrase dates back to 1785, first seen in William Cowper’s poem The Task: “Variety is the very spice of life, that gives it all its flavor.” Did you also know that just the word “change” can make some people shrink away, cower in fear, or cringe in pain? What is it about change that some people hate so much? I like to think of myself as a balanced person. I’m open to change and it doesn’t scare the livin’ dailylights out of me. However, I’m also good with routines, and order, instead of the chaos that can occur from a constant barrage of serendipitous spontaneity. I know people, and have known people, who’s lives are so structured, so ordered, that when something changes in their routine, it can be intensely devastating such that they become almost paralyzed with confusion, fear, rage, or depression. These descriptions coming from the Creator of the Universe, Himself, are telling insights into how God examines our heart’s intentions, rather than our inability (for few of us are perfect enough) to keep the letter of the law. The elders in Jerusalem were no different than many people today who believe by keeping the “rules,” God is therein obligated to look on them with favor, or salvation. Jesus made it clear in many ways, it is not about what we “do” but the “why we do it” matters just as much to God. Clearly murder as an action is wrong, God’s word says so. But such loathing and contempt as people express toward each other today, according to these words of Jesus, are just as wrong. Additionally, Jesus says if these attitudes (intentional heart motives) go unchecked, they will condemn that person to a fiery hell. I cringe at the thought of how God must see some of the leaders in our nation today. “Variety” as a spice of life to them must mean, another of the variety of their party is ok, but if the other party wins, or tries to change something, then murdering people’s reputations is not just ok, but their only course of action. Real change in our nation’s government will require both parties to be more willing to approach this problem with a balanced mindset. Because if the contempt on display in the nation’s capital today does not cease, what we see in the future will not just make us cringe… it will frighten us to our core. Am I saying that change is easy? No, but it is possible. Am I saying only Washington needs to change? No, but it would make it just a little bit easier for the West Coast LA LA LAND folks to accept, if the change began in our capital. Do I believe the Comey’s, Mueller’s, or Lynch’s and the like on the hill will moderate their tone and alter their narrative? Not likely. Yet, if they don’t, when I think about it the chill that runs down my spine is something that the word “cringe” doesn’t even begin to cover. The LORD laughs at him, for He sees his day coming. This is the day the LORD has made; let us rejoice and be glad in it! After turning on the coffee pot, reading the morning news, seeing whose on top of the leaderboard for the golf tournament, and checking my email, now I’m almost ready to write something. I’m listening to the rain falling outside. I’m mesmerized by the tiny little insect that inhabits the space around my desk, flitting here and there, distracting me from the task at hand. At times my pulse slows to such a point that it seems all of this is just an illusion. Writing is at times more like trying to find the face of the man hidden in the coffee beans above. In moments like these, I’m just like this man, lost in the beans, where everything looks the same. Do you see him? He is right there in plain sight. It took me awhile too. Don’t be concerned if you don’t see it right away. Some say life is just an elusive illusion. They say life resembles the work of those famous artists who draw mind-bending art I’m such a sucker for. 3d eye magic pictures drive me crazy, then suddenly I see the image; as my mind relaxes and focuses on what’s hidden in the depth of the design. Then my eyes twitch, and it’s gone again, just like life. I blinked, and somehow went from 20 to 63 years old. I know I slept, ate, thought, worshiped, read, engaged in friendships, played golf, raised kids, and enjoyed it all. But the elusive nature of it as a whole makes me wonder sometimes if I was really there. Spiritually, life can be like this as well. It doesn’t really take long when reading the gospels and the story of Jesus’ life to discover much of his teaching was in parables. A parable is a verbal tool, used to paint an imagine that some will see and others will not. Perhaps one of the most famous parables Jesus told was the one about “the sower and the seeds.” In Matthew 13, the tax collector describes the crowds following Jesus as so large that He had to get into a boat on the beach, push out away from the throng of people, and sit down to teach them. The parable/illusion He taught them was simple. That actually sounds like a parable in itself to me. Does it to you? He was actually quoting the prophecy of Isaiah from the Old Testament. God was saying through Isaiah, hundreds of years before Jesus was born, that when the Messiah came, many in Israel and around the world would not see Him as Messiah, not hear Messiah’s words, instead they would reject Him outright. Jesus went on to say the disciples were truly blessed because they could “see” and “hear” the truth of who Jesus was, is, and will always be… Messiah. The real challenge in the illusion (parable), is to see the truth of what it holds. The salvation of God, gained through trusting in Jesus Christ as your personal Savior, brings with it limited sight and understanding of spiritual matters. Through the on-going redemptive work of the Holy Spirit, our spiritual vision becomes more acute. We are able then to gain more understanding of God’s will for our lives. Looking back on it, you can’t unsee the point at which your eyes were opened and you truly saw Jesus as Messiah. However, just like in the 3d art images, or the man in the beans (above), sometimes the spiritual truth is like a fleeting moment in time, here one minute, gone in the next heartbeat. That’s what makes the next verse so outstanding! We will not ever know the fullness of what is in store for people of faith. Don’t even think, not for one second, or ever let someone convince you, that this life is all there is. It is but an illusion, a glimpse at best. What God has in store for those who love Him, is beyond our comprehension, or imagination. 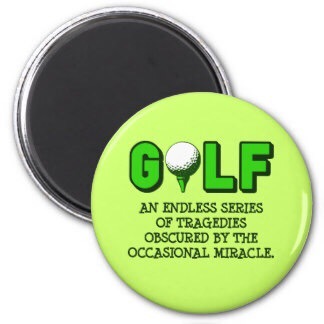 Those who read my blog know that I often use golf metaphors as enlightening images to make my point. The amateur golfer, not unlike the fish out of water above, faces the daunting challenge of not settling for the status quo. To improve as a golfer requires self-examination of his or her own skills; as well as emotional strength to handle all the nuances of bad shots, bad bounces, and weather conditions that naturally come with the game. Change comes easily for some, but is substantial work for others. To improve means to change what doesn’t work, into what does. Many times this comes through instruction from a professional golf instructor, however, knowledge is only half the battle. Application of the instruction through dedicated practice on the driving range is the evidence of the golfer’s commitment to improve. What if this fish fails to leap far enough, landing on the table top instead of the larger bowl? What if it commits, but dies only moments later, surrounded by air instead of water? Some might say this is the perfect argument for not making the leap of faith. What if the golfer has all the knowledge, and perfect understanding of what is entailed to make a perfect golf swing… but never takes the necessary steps to execute that shot? Wholehearted commitment is foundation-ally not being afraid to fail. Clearly the author of Hebrews was just hitting the high-lights of the Old Testament, for there are hundreds of examples which could be added to this list. In addition, since the end of 1st century, when the Bible was completed, there have been thousands upon thousands of individuals who lived by this passage, gaining the same approval of God as the “men of old.” The only requirement for this feat remains: wholehearted commitment. How is it possible to conquer the “what if” fears that keep us from becoming a better version of ourselves, the ones God designed us to be? Believing in the transforming power of Jesus Christ to save us, then stepping across the line of faith into His redemptive grace, is all that is required. Translation: wholehearted commitment to God’s version of reality, instead of relying on our pre-conditioned responses of what is real, makes the impossible = possible. I would rather be this flying fish, risking it all for the promise of God, than to swim in the small bowl of “nothing ever changes.” I would rather be the all-my-life student of the game of golf, than just be satisfied with a 14 handicap. I would rather have Jesus than anything this world affords today. I’m all-in; 100%. The document shown here is a photographic image of the Charter of Richard I, confirming to Alexander de Baretin (butler to Henry II) all his property fairly purchased or confirmed to him by Henry II. (London, Westminster Abbey Muniments no. 657). It is a lengthy document, written in elegant calligraphy, with an image of the great seal of Richard I. What the image displays is the idea that the muniment itself was not just a legally binding document, but a reputable and distinguished treasure with social significance in its own right. Muniments in the ancient world were matters of record dealing with deeds, statutory grants, or judgments which passed title to real property. The possession of the muniment allowed the person to defend their rights and privileges as legal heir or claimant. The revelation from Jesus Christ, which God gave him to show his servants what must soon take place. He made it known by sending his angel to his servant John, who testified to the word of God and to the testimony of Jesus Christ, even to all that he saw. Blessed is he who reads and those who hear the words of the prophecy, and heed the things which are written in it; for the time is near. We all know that “time is near” must be a relative term, since almost 2,000 years have passed since it was written on papyrus. Time as humans understand the concept however, does not negate what must be near in God’s chronology. Within the chapters of the Book of Revelation as a whole we find a scroll introduced containing seven seals across the document. As the opening of this scroll is announced, and each consecutive seal is broken, what is revealed is the grace of God for those who believe, and the judgment of God for those who stubbornly refuse to acknowledge His Lordship or trust in Jesus for salvation. Viewed as a complete document, the scroll is not unlike a “chinese box,” which when opened, only reveals yet another box. Some scholars teach that one seal was on the outside, then after each seal is read, there was another seal deeper in the document to break before reading on. The first six seals bring stand alone judgments, while the seventh seal reveals seven more judgments associated with seven trumpets. The first sixth trumpets announce the next six judgments. The seventh trumpet announces the end of all judgments being poured out like “bowls,” and there are seven bowls to be poured. See, chinese boxes, sort of, the bowls, trumpets and seals are all part of the scroll as a whole. The scroll itself then could be called the Muniments of the Creator. Each revelation from the scroll is to reveal the power of Jesus Christ as Creator, and are designed as a title deed which will be read, then acted upon by God. Each revelation will establish that Jesus Christ is the rightful owner/heir to all of creation. The scroll is the reading of God’s Will (muniment) underlying the simple fact that Jesus Christ is King of kings, and Lord of lords, and rightful heir of all things. If this indeed is an accurate portrayal of the Book of Revelation, and it does actually reveal future events to be unveiled in God’s timing, the testimony of the book is the highest document on earth. At the end of it all, after the salvation for millions, and the coming judgment for millions more, the words that stands out to me in these muniments are the promises of Jesus Himself. Do not seal up the words of the prophecy of this book, for the time is near. To experience God’s grace daily, and extend His glory to the ends of the Earth. Without realizing it, all Christ followers today have something in common with the ancients. There is one particular loop, or cycle, which every person of faith has to come to grips with in their own life. It’s seen most clearly in the Bible as a descriptive pattern which the nation of Israel fell into. It also clearly points out the need for God’s grace instead of judgment, since we like Israel fall prey to this loop daily. Israel consistently lived out what many scholars call the “Cycle of Sin” found in the book of judges. At the top (follow this pattern like the dial on a clock) Israel serves God; then Israel sins and turns to idolatry; God allows them to become enslaved by their sin; Israel cries out of forgiveness and deliverance; God raises up a judge to guide them to repentance, through this repentance; Israel is redeemed and delivered to serve God once again. We could shorten the cycle to just the four points on a compass: Sin, Oppression, Repentance, Deliverance. Israel in those ancient days was God’s chosen nation, they were His people. He promised He would never abandon them or allow them to be completely destroyed. God had a personal relationship with Israel, so the loop was about how this relationship was altered as the people made their choices to obey or disobey God’s commands. Let’s fast forward to today. For Christ followers, people who have stepped over the line of faith into Jesus, this loop effects us every bit as much as it did the ancient people of Israel. We all spend some time in the right place – serving God with our whole heart. Yet soon enough, sin disrupts our relationship with Christ, and as long as we wallow in this sin, oppression becomes our companion in life. It is only when we agree with the Holy Spirit inside of us, that we have indeed sinned against God, that we are sensitive to the Spirit’s prodding to repent and confess our sin. When we cry out to God for forgiveness, and He does forgive, He lavishes upon us such underserved grace, and we once again see through spiritual eyes what God offers us in redemption. Jesus is right where He has been all along, right there with us. It was me that moved away, not Him. It was you, not Him. In this way, my life is like a loop (cycle of sin), but God’s grace is like a ring… without beginning or end… it just is. Pleasantries and trite cliches are not what I need in those moments. Pain, real or imagined, must be hunted like a terrorist and alleviated. When the pain (again real or imagined) is chronic unabated suffering, a person can become jaded, angry, debilitated, or paralyzed, except that a physician accurately diagnose and treat the illness. Relief from persistent pain can often be elusive, perhaps that is why they call it, “practicing” medicine. The spiritual suffering in the world today is just as horrific, and just as real as any other physical disease known to man today. Every day people awaken in total despair, their world in a perpetual state of emotional stress, and their outlook dim, for they see no relief in sight. But here’s the thing, it doesn’t have to be this way. There is a way to be relieved of spiritual, emotional, and psychological struggles. I am the good shepherd, the good shepherd lays down His life for the sheep. Jesus doesn’t have to ask us, “How are you doing?” He already knows how you are, and knows your need to be relieved. Being relieved spiritually in this world today means trusting the great Physician; allowing Jesus to heal, guide, give peace, give us His righteousness, His victory, and His abiding presence… so we can live as God intended. Who is your shepherd? The Doctor is IN! There are as many different kinds of fathers, as there are men who have fathered children. They come in all flavors, good, bad, and ugly. Some are gentle and kind, while others may have been harsh and uncompromising. I don’t know about your experience, and can’t speak for everyone in the world, but I went through the whole gambit with my own father. In every stage of my childhood, teen-age years, young adulthood, until now, I’ve had an on again – off again relationship with my dad. Now, I have three adult children of my own, and I’m pretty sure they would say something similar about their relationship with me right about now. It’s a good picture of life actually. Life in general has an ebb and flow, up and down, and we work through each circumstance or trial as it comes. Some things in life are just hard to get over. Change happens. Yet, other experiences pass, and to move forward in a positive way, we choose to eliminate the negatives by forgiving and forgetting the bad things, and focus on the good memories instead. Today also happens to be Sunday. On these days of worship, I find myself focusing on the Father. I am a son, not the Son. I’m not a son because I deserve it, or earned it, or bought it. I am a son, and blessed to be so, only because The Father declares it so through John the Apostle, if we believe in The Son. Regardless of how you may have been raised by an earthly father, whether he was present or absent, good, bad, or just indifferent; God the Father, the Creator/Sustainer, has declared that He will never leave you nor forsake you. Today, on Father’s Day, find a way to honor you earthly father according to the word of God, and honor the God and Father of all creation, through His Son Jesus, and give Him glory! Today I encourage you to see God in the blossoms around you; in life, in love, in relationships, in grace… and sing His praise, to His glory. Praise God from whom all blossoms flow! Almost every cell in the human body has the same DNA. Deoxyribonucleic acid (DNA) is the hereditary material in humans and almost all other organisms. For an animated video on the basics of DNA, genes, and heredity, click HERE. I’m not a biologist, nor a scientist, but I have a working knowledge of DNA. After all, I’ve watched enough episodes of CSI, and NCSI, I feel like an expert. No, let’s be “real,” I know nothing more than what I learned in college Biology 101, which as I recalled I had to take twice. Ugh. When it comes to evolution, what type of evolution do you agree with and what type do you deny? Do you affirm the Big Bang? One of the big unanswered questions you see in the theory of evolution concerns the origin of the information needed to build the first living thing. How do the Darwinists answer that question. Your book talks a lot about information and you find parallels between a software program and our DNA. Do you think the ideas in your book about programming and programmers would even have been conceivable to readers trying to understand intelligent design a generation ago? What is “specified complexity,” an how does it play into your argument? I suspect for the large majority of my readers, you may have checked out by the third or forth question. It seems tedious and highly technical. I get it. Just for fun, read a couple of the answers, and you’ll discover why the discussion of Intelligent Design (ID) is so controversial, at least to the Darwin collective. The authority in my life is not Stephen Meyer, although I did find the article interesting. The authority in my life is God. I’ve yielded myself to the Lordship of Jesus Christ. Jesus proclaimed that the written WORD of Scripture is authoritative for all instruction. The Holy Spirit leads us into wisdom and understanding when we read the Bible. So does the Bible speak regarding Creation? Yes, yes it does. Chapter 1 in Genesis is captioned, “The Creation” in my Bible. Chapter 2 is captioned, “The Creation of Man and Woman.” The New Testament tells the same story in a rather shortened version of only 2 verses, rather 2 chapters. So, regarding Creation, why did God create us? Everyone who is called by My name, and whom I have created for My glory, whom I have formed, even who I have made. Every living creature or plant, each having their own unique DNA, were created by God, for God’s glory. Some obstinately refuse the Biblical account, would call the Creator – The intelligent Designer, rather than God. In so doing they rob God of His glory. To experience His grace every single day, and to extend His glory to the ends of the world. The creator designed us this way, all the way down to our DNA. Holding fast to the pedestal you have been put upon, at times feels more like what this dragon fly must be experiencing in the driving wind and rain. We all do it, because at one point or another, someone puts you on a pedestal, making you out to be a paragon of something they hold dear. Moms or Dads who are seen as the quintessential parent, are in grave danger. We all know at some point we may fail grossly before our children, running the risk of becoming a fallen hero, or cast out of the family altogether. Pastors, Professors, and Parents are often admired, if not worshiped outright. However, getting a grip on how to avoid this pitfall is more challenging than you think. Here’s the thing; even when people refuse to worship God, they don’t stop worshiping. They simply put other “gods” in the Sovereign’s place. Read Romans 1:18-32 for God’s perspective on this matter, written by the hand of the Apostle Paul. Which brings me to things we worship in church. Hold onto your hats children, some may regard the rest of this article as treading on very thin ice. So be it. It’s bad enough to put a local pastor up on a pedestal, seeing him (or her) as more than just a spiritual hero. If the pastor is a great communicator, highly educated, and stylish in his attire, all too often the pastor’s status is raised to superhuman levels. No one man or woman could ever live up to these standards. Pastors are human, just like the rest of the congregation in the church. When good bible believing folk quit seeing their pastor as human, Satan has acquired a foothold among them. Some of the more popular pedestal paragons Christian people worship include: music style, worship style, Bible knowledge, missions, historical figures from the Bible, or the Bible itself as a work. Robert Kreigel wrote a great book on change (applicable to both churches and corporations alike) called Sacred Cows Make the Best Burgers. This book should be mandatory reading for people on pedestals, who understand their own humanity. Music style/worship style has long been a dividing line in the church, becoming foundational as a cause for the changes to schedules in many average to larger congregations across the land. In order to accommodate both traditional and contemporary worshipers, Sunday morning schedules are now designed to have a separate worship time for each group. In other churches there is no traditional option at all, only hymns re-arranged to a contemporary sound are sung, and the casual orientation finds people arrayed in all variations of attire. We’ve built a pedestal to the freedom of expression in contemporary worship. Clearly this statement is not about the written book we call the Bible today. WORD is John’s metaphor for Jesus. We know this from the follow on verses in context of the first. He was in the beginning with God. All things came into being through Him, and apart from Him nothing came into being that has come into being. In Him was life, and the life was the Light of men. The Light shines in the darkness, and the darkness did not comprehend it. In this same way, we need to quit putting Peter, James and John, and the rest of the original apostles on a pedestal. They were men, and Scripture explains how even these men were deeply flawed and needed salvation, perhaps Peter most of all. Additionally we must quit putting Paul the Apostle of Jesus on a pedestal to be worshiped. By his own words he was “the chief of sinners” (1 Timothy 1:16). Turn your eyes to heaven and see Jesus, and worship Him with the true love of a faithful follower today. The image above is not part of the Rorschach test. Hermann Rorschach was born November 8, 1884, in Zurich, Switzerland. In 1921 he developed the famous test named for his work, which comprised of 10 inkblot images shown to patients. The patient would describe what he or she saw in the images presented. After many years of testing hospital patients with the inkblot images, Rorschach compiled his findings in a book called Psychodiagnostik, presenting the test as an effective and successful tool in psychoanalysis. Champions of his work say it can reveal hidden mental issues in patients who are otherwise difficult to diagnose, while critics dismiss the work entirely as out of date with current mental health therapy methodologies. The black and white graphic above is not a test, although when I first saw it, there were those who tried to make it so. I first saw this image in the early 1970’s. It was introduced to me as a “test” of whether I was truly a follower of Jesus, or not. My first reaction was to be offended, and determined the test absurd. There are people I know personally who have stared at this image for hours and still not “seen” what is there. I also know people who look one time and say… “oh, I see it!” For those who “see” what at first seems hidden, they often describe the moment of discovery as not unlike their experience in salvation. When in the course of human life a lesson is learned, a discovery made, a skill is exercised … once acquired the lesson/discovery/skill doesn’t need to be re-learned, just honed over time to be better each time it is used in the future. This idea is captured in the phrase, “It’s just like riding a bike, once you learn you never forget.” Which also tends to be true for those who have “seen” the image above. Once you see it, you can’t ever “not see it” again. It’s as if the image has shifted from a simple black and white graphic, into a mind-bending revelation of the truth hidden by a Rorschach-like picture. It is also a symbol, or metaphor, for what happens when a person comes to faith in Jesus Christ as Lord, and Savior. I’m of the group of people that believe my salvation is entirely the work of God, and not only did I not deserve it, but I could never have earned it or bought it for myself. In this way, since it is God’s gift to me, and since His promise is to securely save me (even from my self-destructive life patterns), once I am saved, I am always, for all eternity, saved. The resulting benefit of salvation for me is the Holy Spirit, Whom Jesus sends to me in His own name, and Who opens my mind to the understanding of the things God wants me to know and understand. It’s the proverbial “light-bulb” coming on spiritually, which separates and penetrates the darkness surrounding my thoughts and actions before I met Jesus. Looking out through the spiritual eyes of the Holy Spirit now, everything looks different, because it is different. In my trusting Jesus to redeem me, He has delivered me from darkness. Have you seen it yet … in the image above? Once you see it, you can never again “unsee” it. This image showing the various cycles of the moon waxing and waning over time, is a wonderful metaphor for the human existence. We enter this world in a small fragile body, growing physically, mentally, emotionally, relationally, and spiritually to a full bodied grown human adult. And while most would prefer to stay in the center of this image, full of vigor and vim, living in their prime, at some point life’s demands causes our energy and enthusiasm to taper ever so slightly through the years. The process waxes and wanes until, at some point in the crescent wane of our life, the light is overtaken by the shadows, marking the end of our time on earth. Unlike the moon, we have only one life to live on this planet. After a time of darkness, the moon starts a waxing crescent, growing again to fullness before the next waning season. We have no such cycle. Understanding the limitations our Creator has put on us, perhaps none of these questions even factor into what God wants us to discover about our life. In every age and phase of our existence, there is purpose and meaning when viewed through the lens of Scripture. It seems to me that we come into existence for the purpose of living a life that brings glory to the Creator. That becomes a real challenge for those who deny His existence. Yet, those of us who believe this premise, we too face a substantial challenge to actually accomplish this design goal. The essential nature of a human life bringing glory to God means living subject to God’s definition of what brings Him glory. The one thing that gives Him the greatest glory is when we yield our life here, believing that when it is over, He will give us an eternal life there where He is, with Him. The thing is, bringing God glory may have less to do with a new job, being pregnant, and not having a tumor… and have more to do with what is going on inside your head and your heart. These kinds of prayers have more to do with a false image of who God is, than with what it means to call Him Lord. When we only see God as a celestial slot machine, or as obligated in some way to bless us with some good thing of our own choosing, we don’t really understand the Creator, or how He created us. The ebb and flow, the waxing and waning of life, is the very core of how God designed us to bring Him glory. We are to bring God glory by yielding to His Lordship in every season, through every circumstance, trial, trouble, blessing, and experience that comes to us in this life. We only have one go around, we need to make it count. How to do this is the real issue right? Here are just two verses to help you daily in this process, while you wax and wane through life. You shall love the LORD your God with all your heart and with all your soul and with all your might. These words, which I am commanding you today, shall be on your heart. These words, which I am commanding you today, shall be on your heart. You shall bind them as a sign on your hand and they shall be as frontals on your forehead. You shall write them on the doorposts of your house and on your gates. Math was not always my strong suit in school, but I did ok. Some people think that simple arithmetic is all that matters, as if making change from a $5.00 bill at MacDonalds is a great life achievement. However, mathematics is more than simple arithmetic, and we use it daily in our lives, whether we realize it or not. Do you want to design buildings and become a well-respected Architect? Better learn the math required, or your structures will collapse and people will die. Do you want to create the next new gourmet dish that people stand in line to devour? Better learn the math required for proper ingredient measurements or the line won’t even form. Do you want your teen-age son to learn how to avoid collisions in your car when he drives himself to school everyday? Then you better make sure he understands some basic principles of geometry, and distance measuring, or your car may end up looking like an accordion. Measurements, and more specifically the principle of measuring volume, are different for sound, solids, liquids, and gases. For a quick and easy understanding of how each is different click HERE. I want to focus in this article on the Cube as my example, since I find it one which offers a great deal of mystery. Since all sides of a cube are the same measurement, the Volume of a cube is any side or edge cubed (AxAxA or A3). What makes this so mysterious is that inside the volume of any cube is the ability to subdivide the volume into 27 proportionately equal smaller cubes… see the image above. Stay with me here. The one who spoke with me had a gold measuring rod to measure the city, and its gates and its wall. The city is laid out as a square, and its length is as great as the width; and he measured the city with the rod, fifteen hundred miles; its length and width and height are equal. And he measured its wall, seventy-two yards, according to human measurements, which are also angelic measurements. Do you see it? Length, Width, and Height are equal! The basic measurement is a Yard, according to human measurements (which are also angelic measurements), which is a CUBIC measurement. So the angel of God tells John the Apostle, that the city Jesus spoke of in John 14:2 (“I go to prepare a place for you”), is measured in yards, and the measurement of one side of this cube is 1,500 miles (2,640,000 yards). Think of this as the distance between Phoenix, Arizona to Richmond, Virginia. Now CUBE this image, since the measurement is only ONE side of the city! This one city would cover most of North America and extend upwards into the atmosphere for 1500 miles! The atmosphere of earth before reaching space is only about 62 miles! But God says this city – The New Jerusalem – will reach 1400 miles into space beyond our current atmosphere! I hear the wheels turning in your brain right now. Some will say, “This guy’s a crazy nut! That’s impossible!” All you have to do is realize, everything about your life right now is based on faith and things you cannot see or even image. Do you see “how” the pill you take every day controls your blood pressure? Can you visibly see (with your naked eye) the blood coursing through your veins, keeping you alive? Just because you don’t see it, just because you can’t comprehend it, doesn’t mean it isn’t true. So, here’s the thing, is the 15003 miles an actual, literal measurement? When will we finally realize that everything in Scripture is given to us for specific reasons? Perhaps we should see the image at the beginning of this article as another measurement of volume. What if the information you now know, understand, and have applied in your life from the Bible is the solid cube? Can you see from this image that there is infinitely more that you could learn from His Word? God gave us these Scriptures so we would be adequately equipped for every good work. My desire is to reach the full volume of His expectations for me! Those of you reading today who know me well, may think I will shamelessly use this article to promote my recently published commentary/bible study on the Book of Revelation. Perhaps I will, but that will come later in the article, if at all. Subtle huh? Revelation as a concept is about information (true or false) coming to light in various forms, which was not previously known. It is in fact what the whole James Comey testimony is all about… everyone wants to hear about the secret conversations and dialogue between the former FBI director and President Trump. Regardless of your particular stance on the substantive issues, there has been no “smoking gun” revelation. In fact, on the face of it, at least as I evaluate what’s been said, Comey has all but come out and said “the President did nothing illegal.” Yet it still appears to me that the entire process was, and continues to be, driven by the agenda to discredit Donald Trump as our President. Rumor mills and rumor mongering are bad enough, but when journalists become nothing more than mouth pieces for the political elite on both sides of the aisle, spewing and spuriously spreading fake news, or worse treasonous ideas, somethings gotta give! Divulging information which is not intended to be revealed, such as classified data of any kind, is at the very least suspicious, because one has to ask “why was this shared?” James Comey has admitted to leaking his memos to his friend, and doing so with the full knowledge that he, Comey, could then not prevent them from being revealed publicly. Is this act alone not a crime? Politics are the bane of my existence and why I choose to listen as little as possible to self-proclaimed pundits and their ego-based opinions about what is or is not true in Washington these days. Who will save us from this odious quagmire? Clearly we can’t save ourselves. But isn’t that what the Bible reveals to mankind in the first place? If Adam and Eve, Cain and Abel, and those first generations of humanity had been capable of saving themselves from self-destruction, I’m quite sure they would have. But the first couple was banished from the Garden, and one of the first brothers killed the other, all out of an ego-centric mindset that they were above God’s rules. Things haven’t gotten any better since. In fact, one might say we are far, far removed from what God intended for mankind to be. God has revealed in Scripture just how far He is willing to go to help mankind live as He designed us to live. First God chose a man, Noah, to preserve the various species of creation when God judged the evil men in the world through a flood. Then God chose a man, Abraham, to establish a nation of people who would be God’s people declaring God’s glory and blessing to the world. When that failed, because the people failed, God sent His own Son, Jesus, to reveal the full plan of God’s great love for mankind. God has divulged, disseminated, and declared His love for all mankind, yet men and women alike continue to deny His existence. Our world is so filled with hate, contempt, and evil, it could be said that God doesn’t recognize the place anymore. Those who continue in their faithful following of God’s revelation, and who do so with great resolve, are finding it increasingly difficult to exist on this hostile planet. Who will save us from this morass of self-deluded evil? The Revelation of Jesus Christ, which God gave Him to show to His bond-servants, the things which must soon take place; and He sent and communicated it by His angel to His bond-servant John, who testified to the word of God and to the testimony of Jesus Christ, even to all that he saw. Blessed is he who reads and those who hear the words of the prophecy, and heed the things which are written in it; for the time is near. From the very beginning until the very end, God’s marvelous grace has been divulged, disseminated, and declared to mankind. The only thing which will save us from the horrible mess we’ve created, is the coming of Jesus Christ the King. Until then, we will witness continued repetition of the colossal errors committed to, and fed by, the human hunger for power, prestige, and position. One day, ALL will bow before the King of the universe, this I declare to you from the authority of Scripture. The hardiness of plant life is always such a wonder to me. This lone daisy sprouting up from amid the hard planks of wood in the decking is tribute to God’s creative power to make things grow in the most unlikely places. Now thriving, because it has raised its head to receive air, light, and moisture, the flower is both tender and vulnerable to the elements. Yet the real danger it faces comes from the animal kingdom. From little cotton-tail bunnies, to an awe-struck child, to the homeowner who does not want this flower growing in this place…this created living expression of life faces the challenge of being eaten, pulled or cut away in a heart beat. The delicate, fragile flower, has beat the odds of actually sprouting and living in an environment hostile to its life. Daisies are in the family of “vascular plants” which circulate nutrients and water throughout the plant; these plants make up almost 10% of all flowering plants on earth. “Daisy” is thought to come for the Old English “daes eag” meaning “days eye” because of the way it opens at dawn. Paul Dietrich Giseke, a German botanist, classified the daisy family as “Compositae” in 1792. Daises represent purity and innocence. The Daisy’s white petals count as one flower, while the cluster of yellow disc petals that form the eye are technically another, so it is considered two flowers in one. Daisy leaves are edible, and can be added to salads, they are high in Vitamin C.
Medicinally speaking, Daisies are thought to slow bleeding, relieve indigestion and coughing; and in homeopathy, the daisy is the gardener’s friend for it’s ability to ease back pain. Since daisies thrive in generally inhospitable conditions, and are resistant to most bugs and pesticides, they can become weeds if not controlled. Bees love the daisy relatives, like Goldenrod, so they are important to honey makers. God has done a marvelous thing when He created this world with all the varieties of plant life, each having its own purpose for being here. Now it stands to reason, that if God cared so much about these tender flowers that He provides for their every need, doesn’t God prove His love people by doing much more than this? Jesus spoke to this idea in Matthew 6:25-34, when dealing with the world wide issue of anxiety. For this reason I say to you, do not be worried about your life, as to what you will eat or what you will drink; nor for your body, as to what you will put on. Is not life more than food, and the body more than clothing? Look at the birds of the air, that they do not sow, nor reap nor gather into barns, and yet your heavenly Father feeds them. Are you not worth much more than they? And who of you by being worried can add a single hour to his life? And why are you worried about clothing? Observe how the lilies of the field grow; they do not toil nor do they spin, yet I say to you that not even Solomon in all his glory clothed himself like one of these. But if God so clothes the grass of the field, which is alive today and tomorrow is thrown into the furnace, will He not much more clothe you? You of little faith! Do not worry then, saying, ‘What will we eat?’ or ‘What will we drink?’ or ‘What will we wear for clothing?’ For the Gentiles eagerly seek all these things; for your heavenly Father knows that you need all these things. But seek first His kingdom and His righteousness, and all these things will be added to you. So do not worry about tomorrow; for tomorrow will care for itself. Each day has enough trouble of its own. There is a fine crisp line separating knowledge from wisdom, comprehension from understanding, and effective communication and meaningless nonsense. It sometimes has to do with focus, or the ability to see beyond the breaks and shadows, to discover the true meaning of what’s being said. This image is a perfect example. Did you read the dark side as a complete thought opposed to the lighter side? It certainly can be seen as two complete thoughts, although the lighter side seems strange by itself. It could make sense to those who see “art” in these separate ways. However, if you did read it as two thoughts, now go back and read the whole thing straight across, to see the subtle shift beyond the crisp dividing line at the edge of the stone. Fascinating how the intent of the artist changes with complete understanding of the phrasing, isn’t it? Just as in this artwork of stone, understanding and wisdom come in life by being willing to let go of preconceived ideas or accepted traditional dogmas, and view people, conversations, and the world around us differently. We need to look for purpose and intention, as well as for meaning and understanding. While the crisp lines that separate shadows and lighted areas seem to differentiate truth, the reality of what “is,” is often found not in seeing black and white, but the subtle shades of grey that make up the whole. There are those in this world who upon hearing the name Jesus Christ of Nazareth, jeer and sneer, shout and spew, denying His divinity and proclaiming Him just a mad man of the 1st century. The say He was a liar, beggar, and the worst deceiver who’s ever lived. Others, hear these angry declarations and become incensed at the blasphemy of it all. These have so focused their attention on His divinity that they lose sight of His humanity. They forget that He was bound by the same physical, emotional, and human limitations that bind us all. He had to eat, sleep, rest, and seek solitude alone with the Father, in order to become the MAN capable of fulfilling God’s plan for salvation. The REALITY of the nature of Jesus is that He was fully God (divine) and fully MAN (just like us) with one clear and crisp difference. This one MAN, Jesus, did things perfectly. His words were always perfect. His thoughts were always perfect. His emotions were always perfect. His actions were always perfect. He was perfect. The hard and fast, crisp difference, between Jesus and me is crystal clear… I’m not perfect. Neither are you. Rather than seeing what we want to see, or just hearing what we want to hear, maybe it’s time we started looking for truth, and listening for truth. On capital hill, or the election in the UK, in the south China sea, or the middle east… were people to put aside their cultural dogmas, their petty preconceptions, their personal agendas, and their pride… well, how crisply exhilarating would that be? These are nice thoughts, but let’s come back to planet earth, and talk about matters closer to home. It’s what we do, really, when things are ugly in our 10-foot circle, we deflect by focusing on what’s wrong “out there” in the “world” because we just don’t want to deal with what’s wrong in our own personal space. The things around us that need addressing are fuzzy and messy, whereas if someone would just ask us, with the clarity of a crisp mountain breeze we could tell them how to fix the world. Ha, what a joke. We are the world. Please don’t tell me everything in your life is perfect, I know better. Mine isn’t. So I strive to seek God’s wisdom, God’s grace, and God’s favor on a daily basis, by yielding my pride, my agendas, and my life to His Lordship. In doing so, earthly troubles bother me less, and eternal matters are more in my thoughts. The crisp joy of life follows, and I love it. How about it? Why don’t you join me in the pursuit of the crisp joy of life! The word of the day in the Daily Post is always a challenge. Today’s word “Polish,” immediately sent me off on a question rather than an answer. Was I to write about Poland and what it means to be Polish? Since I’m not Polish this would be a serious obstacle indeed. Was I to write about “polish” as in: to shine, wax, or buff something in a rubbing motion? The question mark in my head resembled the picture above. That got me thinking how the point of this exercise is always about interpretive view points. Every other blogger who goes to the Daily Post site, to get the word of the day, must interpret that word within the context of their own life experiences, creative juices, and just go where it leads them. Me included. So, I’ll write about communication. The ambiguity of “polish” is a perfect example of how sometimes a single word is the difference between successful meaningful connection, or a total disconnect bordering on destruction. It all depends on how one sees or hears the word. Hate is an ugly word. The passionate loathing of an individual, such as the sitting President of the USA, causes a total disconnection between sane thinking and acceptable behavior in those who are constantly trying to belittle, denigrate, or impeach him in the eyes of the general populace. But this is an age-old problem, there’s nothing new under the sun. Joseph’s brothers, out of their intense hatred for him, sold him as a slave to an Egyptian, who carted him off in shackles to serve in another land. Samson was so despised his enemies used another old-time favorite, entrapment by a beautiful woman, to solve the riddle of his strength and defeat him. Jesus was an abomination to the leaders of Israel in the first century, and it drove them mad and hostile, until finally they plotted His death. Most people don’t realize that hate can also be HOLY. The Bible explicitly defines how much God hates sin. However, because God is Holy, then His hatred is holy hated. When men and women in this world justifying their own actions, ignore how God sees their actions, and deny their need for forgiveness, God hates their rebellion. Careful now, I did not say God hates these people. The difference between unholy and holy hatred, is grace. God sees people as worth being redeemed. People see people they hate as beyond redemption. God sees the actions and attitudes of people as unacceptable, but the people as the very ones He sent His son to die for. People see hair, hear speech patterns, or observe “tweets” and deem them beyond distasteful, and the person they hate as not worthy of sharing their same air-space. Hate is a two-edged sword. More often than not, unless wielded by the Holy God of Creation, it results in damaged relationships at best, or bloodshed and death at its worst. Let’s not just put another coat of “polish” on how wrong things are in our world today. Let’s not just dress it up and ubiquitously say “it’s all good,” because it isn’t. Some people just need to take a deep breath, calm down, and try listening instead of talking for a change. More folks out there than I care to think about, need to get their anger and hatred in check before for this gets out of control. Haughty eyes, a lying tongue, and hands that shed innocent blood, a heart that devises wicked plans, feet that run rapidly to evil, a false witness who utters lies, And one who spreads strife among brothers. Anyone else think this is a great image for much of what is happening in the world today? George Lucas, and John Williams are creative geniuses, each in their own field of work. Lucas captured our minds with outrageous new creatures and the use of computer generated imagery (CGI), while Williams captured our emotions and visceral imaginations with the sound track. From the evil Imperial March track associated with the dark side of the Empire, and Darth Vader’s breathing apparatus, to the CGI hyper-speed jumps of the Millennium Falcon, this original 1977 movie took us to places we could not conjure in our own imaginations. I have always loved science fiction, does anyone out there remember “Danger! Will Robinson!”? Today’s offerings in the genre of science fiction, now 40 years removed from the Jedi Master and the Force, continue to capture our thoughts about the reality of space travel, and what lies beyond our world. As of March 27 of this years, NASA continues on it’s plan to send humans to the Red Planet sometime in the 2030’s. That’s 13 years from now folks. Is this reality? Could this actually happen? My thoughts are mixed from a spiritual standpoint. Nothing about my 1960’s faith allowed for the concept of traveling through space. That said, I’m now 63 years old, and I’ve witnessed the evolution of technologies that not only could I not have envisioned as a child, I was an actual part of the early pioneer work of establishing the capability of data communication over cellular devices. (Translation: Texting, emailing, tweeting, etc on the cell phone) What a ride! Will the Creator allow humanity to make this great voyage into the unknown of space? There is nothing Biblically that either allows or forbids this possibility. In fact, it is pure speculation on the part of any biblical scholar who takes a dogmatic stand one way or the other. In the area of predicting the future, God gives us the plan for the end of human history. But what’s missing in the information is when this might occur, and God hasn’t enlightened us or hinted to us anything in terms of concrete, hard-and-fast time tables. He doesn’t tell us year, month, day, hour, or minute… so ANYONE who tells you they know, is a false prophet. Trust me, they don’t know. That said, it is just as easy for me to believe that space travel is in the very near future for many people. If you are 20 years old and dreaming of flying in a real live spaceship, your odds are pretty good, if God allows us to exist another 100 years. The ancients, the Old Testament authors, could only see the stars and marvel at the existence. The New Testament authors, wrote of the Magi being led by a star to the place where the Son of God was born, in Bethlehem. Outside of these references, what would ever cause us to think that these men understood our world today, from 2,000 years in the past? Enter John the apostle. So I leave you with these distant thought from the past. The passage of time does not negate their truthfulness, so be careful about measuring prophecy against the element of time. If God says it will happen, then it will happen. The LORD is not slow about His promise, as some esteem slowness, but is patient toward you, not wishing for any to perish but for all to come to repentance. In My Father’s house are many dwelling places; if it were not so, I would have told you. I go to prepare a place for you. So… go be light and salt today, bringing God great glory, experiencing His grace in everything you do! Live in the reality of these yet distant promises. I know for a fact that truth is stranger than fiction. All the tall tales about dragons and unicorns combined are not as strange as the continuing saga that is Hillary Clinton’s loss in the election. People’s imaginations, including Hillary’s, have run wild, dreaming up all the reasons why President Trump won, and the list grows every day. Two days ago Mark Steyn sat in for Rush Limbaugh and discussed how Hillary now blames the “Content Farmers” for her loss. I thought He was making this up. And in fact, he was being sarcastically funny, but the fact is she said it. She’s blamed the Russians, the FBI director, the DNC, former President Obama, Anti-American “forces”, low-information voters, high-information voters, stupid Republicans, Bernie sanders, incompetent pollsters, rural women, misogynists, suburban women, the New York Times, Fox news, and fake news. She blames social media, Facebook, Twitter, and yes, “content farms.” At a tech conference in Silicon Valley on Wednesday this week she said, “The other side was using content that was just flat-out-false, and delivering it in a very personalized way, both sort of above the radar screen and below.” Read the article, click here. In the end she basically said if only stupid people had voted for her, she would be in the Oval. Here’s the thing, I’m not stupid. In the context of the World Wide Web, a content farm (or content mill) is a company that employs large numbers of freelance writers to generate large amounts of textual content which is specifically designed to satisfy algorithms for maximal retrieval by automated search engines. I didn’t make this up. There are real companies, with real people, who do nothing but sit at computers all day long, cranking out large volumes of articles a day, (4,000 a day is not uncommon). The content of these articles is low quality, written with the specific intent of being discovered by search engines, to improve their rankings and move them to the top in rankings. Hillary is suggesting that the DNC and Trump campaign used these companies to skew the election in some way. Now that’s what I call a vivid imagination. It’s always easier to blame someone else, or something else, for our failures isn’t it. I find it fascinating that in all of this nonsense, and the huge list of people to blame for her loss, there is not one mention that it could even remotely be her fault. It is beyond reason or imagination in her mind that she should have lost, so it had to be someone else who caused it. Is there a lesson here for the common man and woman in the world today? You betcha. We all make mistakes, some bigger than others, some on a grand blunderous scale. When you do, or when I do, let’s simply own it. Let’s just admit, “my bad”, take our lumps and try not to repeat the blunder. Imagining all the reasons or people to blame for our blunders doesn’t make it true. This reasoning makes it mythology or make-believe. Now for the truly frightening aspect of what happens when we don’t just ‘fess up. We will someday stand before a Creator-God who will be all too well-informed with all our blunders. He will have full knowledge of just how wrong we are, and when we try to make excuses, or blame someone or something else for our mess-ups, He will not have any of it. Imaginary phrases like “the devil made me do it,” will not work with Him either. Let’s at least be honest and admit what the Bible states all too clearly. For the wages of sin is death, but the free gift of God is eternal in Christ Jesus our Lord. Whatever you do, don’t be like Hillary Clinton, finding no fault in herself, and only blaming everyone else around her for her own failures. Own it. We are not perfect people and we fail miserably many times. Admit to yourself and to God, you aren’t everything God designed the perfect human to be. There was only one perfect human and we are not Him. But He came, Jesus came, so we could be in right relationship to the God of the universe and our Creator. Paul was more than just a low-quality content farmer. His writings are more than just mythology and make-believe. The apostle Paul was called to preach and teach and write the very words of God to us today. Don’t be led astray by the mindless meanderings of those who think themselves God’s gift to the planet. There is only one Gift – His name is Jesus. At age 14, most kids are are graduating from one era of childhood to another, by leaving the Jr. High, or Middle School dispensation, and moving on up to where they are low rung on the ladder in High School. It is a difficult and stressful time, but it is also a completely normal process, those who have gone before have survived easily. No so for Carson Huey-You. In May this year, this 14-year-old graduated form Texas Christian university with a physics degree. And oh, by the way, Carson’s brother is enrolled as a freshman (age 11) at the university as well. This is not a normal dispensation. Certainly the minds of some of these brilliant kids works differently than other “normal” children. But I have to believe their social life is also very different from others when it comes to forming relationships and bonding with their peers. They have none. Dispensation is the act of distributing or supplying portions of something. A simple example might be that God in His wisdom, doled out a portion of average intelligence to most 14-year-old kids, but Carson and his brother received a special dispensation. In some ways I would have liked to have had this dispensation. I would have liked to be a better student, learn quicker, become wiser and act wiser. But hey, I’m still here and wouldn’t change some of my normal “experiences” for all the money in the world. We live in the age of GRACE. “Unmerited favor” is a term often used for trying to grasp the importance of the idea. We do not deserve God’s love, yet He loves us still, and wants us to live in, and experience His grace, every single day. He wants us to live in such a way that during this age of grace, we bring glory to His name every day we are alive. In this way, He can use us to bring others to saving faith for the very first time in their lives. There are three more dispensations to come: tribulation, millennial kingdom, and eternity. God isn’t slow, but He doesn’t rush ahead either. In His perfect timing one age will end, and the next will begin. Today I would ask that you “stay in the frame” as Len likes to saying on Dancing with the Stars. Stay focused on who you are in Christ, and where you are today. Determine to make a difference in someone’s life today. Offer them a portion grace; the same grace that God offered you. Dispense grace. Be kind to one another, tender-hearted, forgiving each other, just as God in Christ has also forgiven you.